“Summertime on the east coast often evokes memories of Maryland blue crab feasts, lobster boils on the beach and gatherings with friends and family. 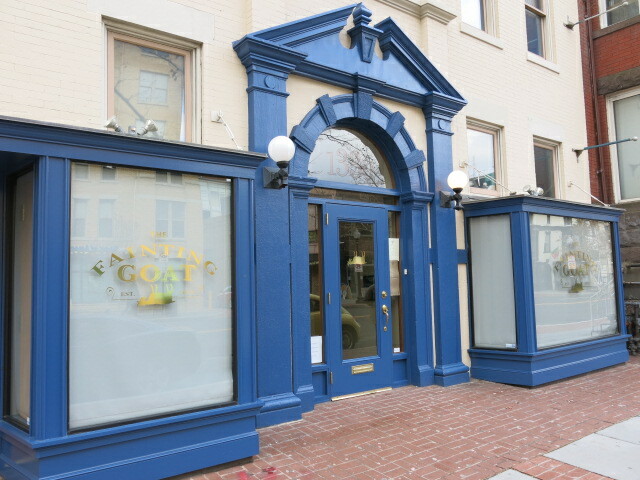 Celebrating the most delicious of summer’s bounty, The Fainting Goat on U Street is launching “Picnics at the Goat” on Monday evenings, a series of monthly-rotating, casual family-style suppers focused around different iconic summer foods. The series kicks off tonight, July 20, with a juicy fried chicken feast complete with hot biscuits, smoked Gouda mac ‘n cheese and other summer sides. Executive Chef Nathan Beauchamp is inviting groups of two or more to come enjoy summer-favorite fare, such as Maryland blue crabs, peel n’ eat shrimp, and a classic lobster boil complete with Andouille sausage, potatoes and corn on the cob. Ranging from $25-$40 per person, the feasts are available every Monday from 5 p.m. to 9 p.m. The full schedule and menus are below. Chef Beauchamp is frying up juicy chicken and serving alongside family-style sides of creamy-style coleslaw, freshly baked biscuits, smoked Gouda mac ‘n cheese, and to end the meal, homemade strawberry shortcake. An Eastern Shore native, Chef Beauchamp’s childhood was spent cracking crabs on the Chesapeake Bay. He’s bringing in peak-season Maryland Blue Crabs, and serving with the sides he loves most – corn on the cob, coleslaw, peel n’ eat shrimp, and for dessert, homemade summer berry cobbler. Chef Beauchamp will host a classic lobster boil evocative of a summer gathering on the beach, with fresh lobster, corn on the cob, Andouille sausage and red potatoes, and serve a freshly baked seasonal fruit pie to end the meal on a sweet note.